What is ‘care’ in Healthcare? When we are trained as students, we are trained to present a ‘caring’ front to patients, to be seen to be ‘caring’ and to be ‘caring’. But we are not really taught what care is…. I recall being told to show sympathy and empathy to people in their situation, told to say ‘the right thing’ to express ‘concern’ which made me profoundly exhausted and did not hold the person I was with in equalness. But sympathy and empathy are not care. They are reactions to care. The sort of people who do medicine are on the whole innately ‘caring’. It is a quality that we can all feel. I recall the first day of medical school and the first years of medicine being so impressed at how interested my colleagues were in people, about understanding people and about caring for the people with illnesses and disease who came to visit us and teach us about health, illness and disease. They inspired me. I like many others found it quite overwhelming to see the vast extent of human suffering and distress, and did not know how to handle that with my deeply caring nature. I felt that I needed to be able to fix everyone and take away all of their suffering. That was a big burden to carry, and one that I know many doctors do. I then watched many of these same caring people, who were so interested in people, move away from people oriented professions in medicine, seemingly suffering ‘caring’ or ‘compassion’ fatigue, finding it overwhelming to spend so much time with sick people. I have spoken to several colleagues and read many shared stories where people have either left medicine for ‘survival’ reasons, or chosen professions where there is less contact and less ongoing ‘care’ for people as a survival thing. It is well known that the burnout rate is far less in professions where there is less ‘patient’ contact. This is disturbing and a shame, because medicine is about people, and if we cannot be with people without getting exhausted or overwhelmed then there is a real issue. If we are not taught how to be with people in a way that does not exhaust or overwhelm us, given that everything about medicine is about people, then we are missing something fundamental in our medical training. If care is a natural and innate thing about being human, then surely it ought not to be exhausting? If caring is natural and innate then why does it exhaust us? If you watch very small children, unless they have been abused or interfered with, they are naturally caring, of one another, and themselves. They are precious with themselves, and move their bodies with great care, becoming upset if their bodies are upset in any sort of way. This caring way is innate, and it does not exhaust them, and we delight in it. They are not taught it, it is innate in the way that they interact with others. Given that this caring way is innately within us all, and does not exhaust us as children, then what happens as we age and progress into adulthood? Why is it that we get so exhausted from ‘caring’? Could it be possible that what we are told to DO and say as caring is not what true caring is? And could it be possible that it is not caring in truth that is exhausting us and overwhelming us, but rather our false understandings of what we have been taught it is to be caring? Like most people, I was taught to ‘do’ care. I was taught that sympathy was caring, that empathy was caring, and that taking on someone else’s burden was caring, and that taking responsibility for the life of somebody else was caring. I was taught that caring was feeling responsible to ‘fix’ people and through that I could ‘show’ that I ‘cared’. I had to show an emotion in order to let the other person know that I ‘cared’. All of it left me feeling exhausted and wanting to hide from people to ‘protect’ myself even though I innately cared for them so deeply! And I am not alone in this. But do babies and small children do any of these things? We feel in them a tender caring nature. They do not do sympathy. They have a presence that is caring in the way that they are. Care is not a reaction, it is a presence; it is a quality, and through that come caring actions, but never at the expense of the health and quality of that person. Caring is not an action, it is a quality that can be developed through the quality that a person lives with themselves. You cannot fake true care. Care is a presence that is felt. It is a quality that things are done in. For example you can do the same action, such as taking the pulse, rearranging the blankets on the bed, feeling for somebody’s temperature. These actions can either be functional or caring, depending on the quality that they are done in. The caring quality will make a difference on the person that has received it, and it will not leave the person doing the action any less in energy or feeling depleted as we so often do throughout work. The quality feeds itself back until it becomes ‘just the way you are’. Acting in the quality of care, builds more care in the body, that then feeds the quality of the day. There is nothing in our medical training that truly teaches us about care, nor how to truly care for ourselves. It is not surprising that we are exhausted by what we are told and taught ‘caring’ is. If care is a quality that we live, then it is not possible to be that presence of care for another, unless we first live that with ourselves. There is nothing in medicine that teaches us as doctors how to care for ourselves, nor that we have permission to care for ourselves. It is not surprising that we are tired, running on empty doing our best to care for people as is our nature, but with the batteries empty because they have not been charged with our own care for ourselves. We don’t need to ‘do’ care for others as health care professionals and doctors, we simply need to live that care with ourselves and allow ourselves to be that with everybody. The first step to caring for others is to truly care for yourself, and then that is a presence as well as a quality that is felt by others. Delivering true care in health care starts with training our health care professionals and doctors how to care for themselves. ← Why do we make education hard? 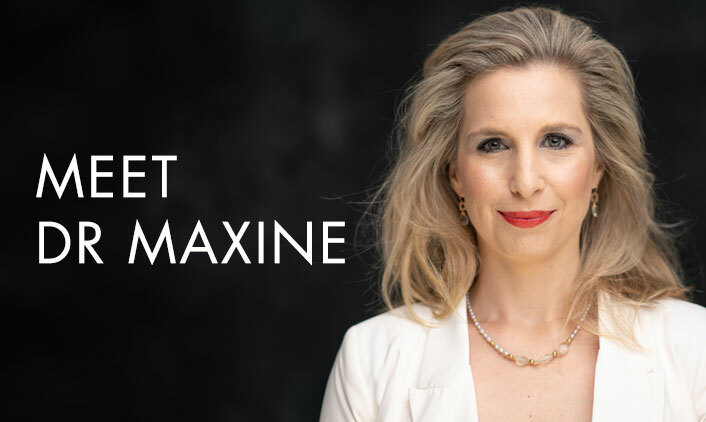 A great article on caring Maxine , It makes so much sense ,I get what you say that it it comes down to care we have with our selves and how we are with our selves , then bringing that to the patients .Instead of the overwhelm and fatigue that comes with trying to fake care through a reaction or action. This is big and a game changer in the psychology of self care in the work place and a much needed article .Thank you for caring enough to write such an article. Maxine I love the fact that you are writing on this. As a nurse I had also not explored what care and caring was and really it’s the foundation nursing as well as medicine and all other health professionals. Considering all that you have shared I feel that “what is care and what is it to care” could be important first year subject for all health professionals. This would give health professionals a solid foundation to base their practices on. Thanks Jen, I agree I think thats a great idea. What is care is foundational and how to care is foundational for all of us in the health care profession, and actually everywhere I think. Awesome article Maxine, medicine is in dire need of this understanding that you are sharing. I did a short dementia course for carers recently and it emphasised over and over the need to be sympathetic and empathetic with patients. There is little if any understanding how draining it is to do this and how it helps the patient naught if you do. The secret is you cannot care for another unless you care for yourself. I love what you have earthed here – the simplicity and truth of it. So true…only when we make medicine about people again – those we care for and those who care for them – will we have a system that delivers true care, filled with people in living colour, not just shades of grey!